The deadline is May 1, 2016. 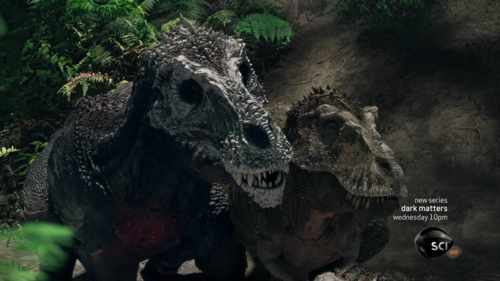 The winner gets their hybrid featured in a fight against my hybrid, Spinosaurus rex. 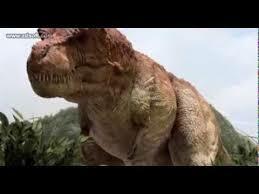 Magnus rex (large king) is a hybrid therapod with the DNA of Tyrannotitan and Utahraptor. This carnivore can grow to 47 feet long when fully grown, stands 15 feet tall at the hips, and weighs in at 6-8 tons. M.rex has a long skull like other pure-bred carcharodontosaurids, about 5 feet long, but is more robust towards the eyes. 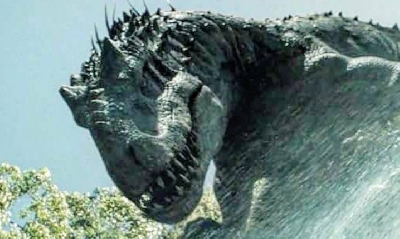 Its maxilla and mandible (upper and lower jaws) are also deeper than dromaeosaurid and carcharodontosaurid teeth, giving it a stronger bite, capable of crushing bone. 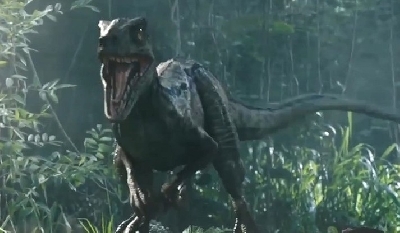 Its eyes face forwards like Utahraptor, providing optimal binocular vision over short and long distances. 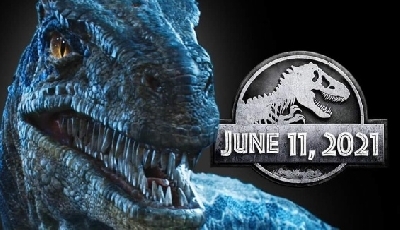 As well, it can open its mouth as wide as the Indominus rex. M.rex’s body is long and lean, due to its Utahraptor DNA, but does not have any feathers. Instead, long quills run down its lean, muscular neck and forlimbs. Each forelimb has 3 long fingers with two-foot claws. These are the main weapons of M.rex, and due to incredible arm strength and flexibility for a therapod’s forelimbs and fingers, they are capable of slashing or stabbing deep into an adversary’s hide. The long tail of this powerful creature, with long legs and ability to briefly walk or stand on its forelimbs, provide it with unmatched agility and quickness compared to other therapods. M.rex is well armoured too, with tough scales along its neck and back for protection, and very strong bones that prove difficult to fracture. The M.rex shows great intelligence for a theropod, which is a common trait in dromaeosaurs. It can run for long distances at 30 mph, but prefers to ambush its prey. Capable of imitating other animals, it can lure prey closer to its hiding place when hunting. But there is no mistaking its natural-occurring sounds for another animal; its high-pitched roar (which can be heard from 5 miles away) and guttural growls send other animals running when it’s angry or territorial. It is also known to set traps for prey by maiming victims, so that its calls for help will attract other members of its herd to come help. But when it comes to fighting adversaries, it doesn’t hold back. M.rex, a naturally aggressive and very strong animal, will not back down from fights, and are known to have ugly scars across their body form past conflicts. Beware this highly dangerous predator. If you hear it…run; you won’t get away if you see it, or if it sees you! 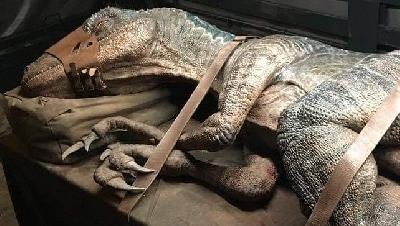 Appearance: Long snout, sharp teeth, long arms with three fingered hands ending in long, sharp claws, long legs good for running, a long, sickle-shaped claw on each foot, and a long tail. Covered in feathers. 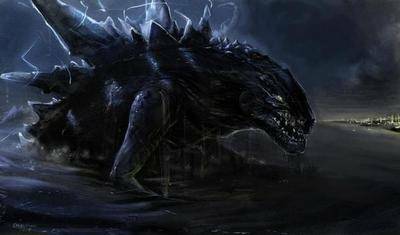 Abilities: Intelligence, speed, a bit more agile than the average dinosaur, claws used for killing, can pin down prey with a long killing claw on each foot stealth, and sharp teeth. How large is your Spinosaurus Rex? 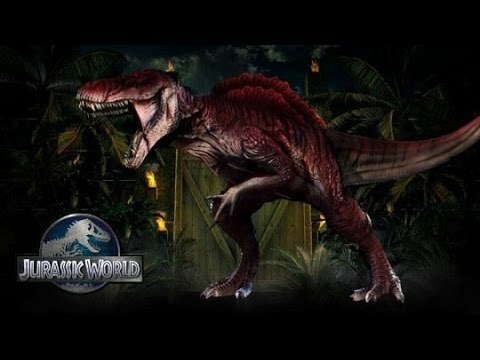 Cause the Indominus Rex is going to be easy for my hybrid the Denachikasuchus Rex. D-Rex 4, you using your hybrid for the contest? (2) My hybrid is way too large for even the Spinosaurus Rex. Oh, and I posted information about my own hybrid the Denachikasuchus Rex! I urge you to read it! PWEASE, FOR ME?! Ok. I've read it before, and it looks cool. Name meaning: *lat. "Bone-Breaking Lizard". 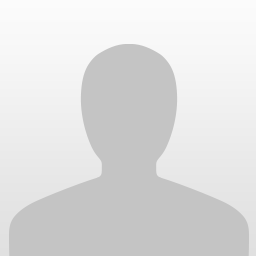 Abilities: Osrumposauridae have very strong and light bones, due to the alveolate structure. They are very fast, and go on a rampage when accelerating to full speed. They use their massive, dome-like heads as battering rams to crush the bones of their prey. Weaknesses: Not very intelligent. Deceleration takes time when in full speed. Claws and Beak are not that sharp, but do damage. And the winner is...AlphaDino65's hybrid Magnus Rex! Sorry Tyranno, but the contest is over. Cool hybrid though. Make another they are fun and youare good at it.